Summer has arrived, which means we naturally want to go outdoors and enjoy the feeling of the sun on our skin. It is a time to slow down a bit and enjoy all the good things that come with this part of the year, such as longer daylight hours, enjoying outdoor activities and of course guilt-free ice cream! It also means, however, that we risk over-exposing our skin to the elements, particularly if you live in a seasonal climate and are not accustomed to a tropical or even sunny environment. 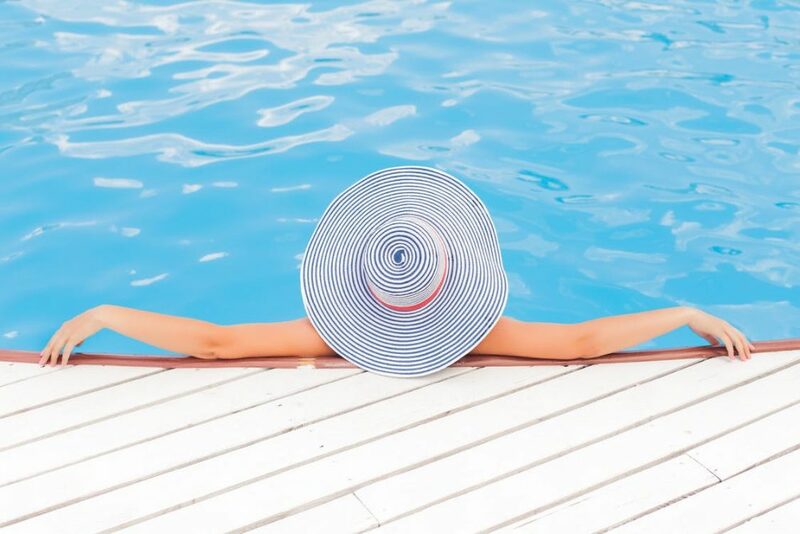 The extra care our skin needs in the summer needn’t be complicated, and so I have compiled some top tips to ensure your skin stays tip top this summer! This is one of the golden rules for youthful skin. The importance of wearing sunscreen can not be underestimated. Keep your face covered when you can, as exposing the sensitive skin on your face to the sun’s ultraviolet rays can leave you with damaged skin and undesirable marks, such as sunspots also known as ‘age spots.’ Try getting into the habit of bringing a pair of sunglasses and a sunhat with you or in your bag for those sunnier occasions. The stresses of our day to day lives can have a huge impact on our skin. Environmental stresses such as air pollution, increase a number of health risks not least of which includes damage to our skin. The fact that our skin is the most immediate barrier to our surroundings means that it is constantly exposed to environmental pollution particularly if we live in large cities. This is why cleansing our skin is so important. Using a face wash, cleanser or even facial wipes in the morning and evening should be part of your daily routine as this prevents a buildup of toxins and keeps your skin clean and feeling fresh. Toning is part of the three-step process that many people recommend for optimum skin health, the first being cleansing, the second being toning and the third- moisturizing. Toning tightens the skin, functioning as an astringent and ensures that the skin is rid of any oil or leftover build-up before cleansing. Try to avoid toners with alcohol in them as alcohol can be quite harsh and often irritating. Toners which contain alcohol are even said to destroy the natural collagen present underneath our skin. This is one of the most important parts of your daily routine. Moisturising is key to skin health, especially in the summer months where you might experience drier than usual skin. The water that is naturally present in our skin quickly becomes depleted if you do not stay hydrated and maintain this delicate barrier. Kill two birds with one stone by using a moisturizer that has an SPF. We all know that bathing regularly is important; however, this becomes all the more so in the summer when you are likely to sweat more. Sweating profusely can irritate your skin and lead to blocked pores. Cleanse your face as soon as you can after sweating as you don’t want to give bacteria present on your skin the chance to irritate or even infect your skin. Even splashing your face with cold water after a run or going to the gym can be a good practice in personal hygiene. Exfoliating can aid in the restoration of new skin cells and can help reduce the appearance of unsightly pores. This is a must when you are regularly wearing sunscreen which can often be a tad bit greasy and leave you with blocked pores. You don’t have to exfoliate every day, and in fact, this can damage your skin rather than restore it so stick to exfoliating on a weekly basis, alternating with a face mask. A weekly or even fortnightly mask can work wonders for stressed and tired skin. It can transform dull skin into bright, glowing and moisturized skin. There are a wide range of masks on the market which cater to different skin types. Alternatively, you can make your own masks at home, which can be a good option if you have sensitive skin or prefer to use natural products. A large percentage of our skin is made up of water, which means that we constantly need to drink in order to stay hydrated. As our skin is the largest organ of our body, and of course the most visible, every health choice we make manifests itself on our skin. This might be bad eating habits, consuming too much alcohol, or not drinking enough water. While a good moisturizing routine can alleviate the symptoms of dry skin, if you do not drink enough water it is unlikely that your skin will be at its optimum level of hydration. Each of us requires specific care for our skin, some of us might have oily skin, while others might have dry or combination skin. This means that the products we use will vary from person to person. Personal hygiene is, of course, necessary for everyone regardless of skin type. From time to time outbreaks or skin conditions might emerge, particularly in the summer months, some of the most common being prickly heat, sunburn or even folliculitis. Thankfully treating these conditions the natural way is easier than ever. Take a look at these folliculitis remedies if you are suffering from this unpleasant skin condition which can be caused by shaving, sweating and wearing tight clothing. Health starts with a healthy gut. The gut is the foundation for healthy skin and is responsible for what our body absorbs or rejects. In this way, the food we eat can either promote or discourage the creation of good bacteria which in turn can have a direct effect on our skin and indeed our health in general.There are an increasing amount of studies which link digestive health to many medical issues from diabetes to cancer. Probiotics are said to aid in the production of good bacteria, which a healthy gut relies upon. Consuming probiotics, alongside a healthy diet, can balance the natural flora present within your gut ensuring a disbalance doesn’t occur.